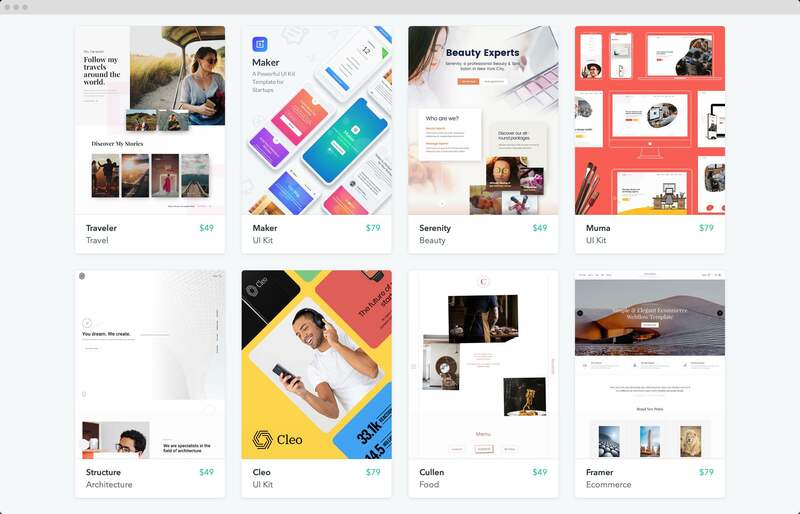 Although most of Webflow’s users are designers, there are a growing number of developers, business owners, and self-starters that use Webflow. 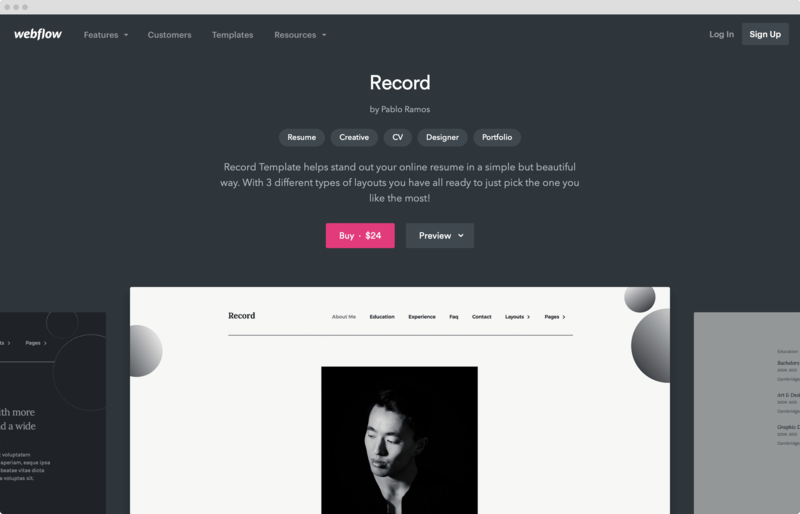 For these users, we wanted to build and maintain a marketplace of high quality and easily styleable templates. 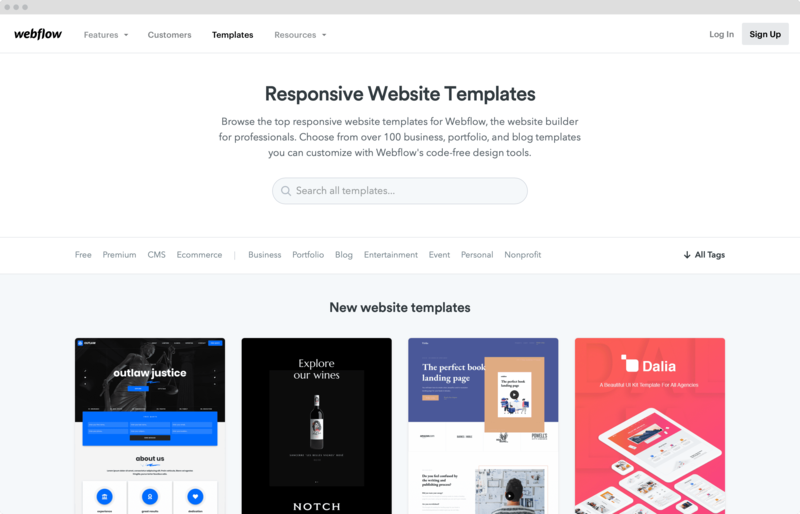 I started designing and building the template marketplace as we were finishing up the initial release of the Webflow CMS. 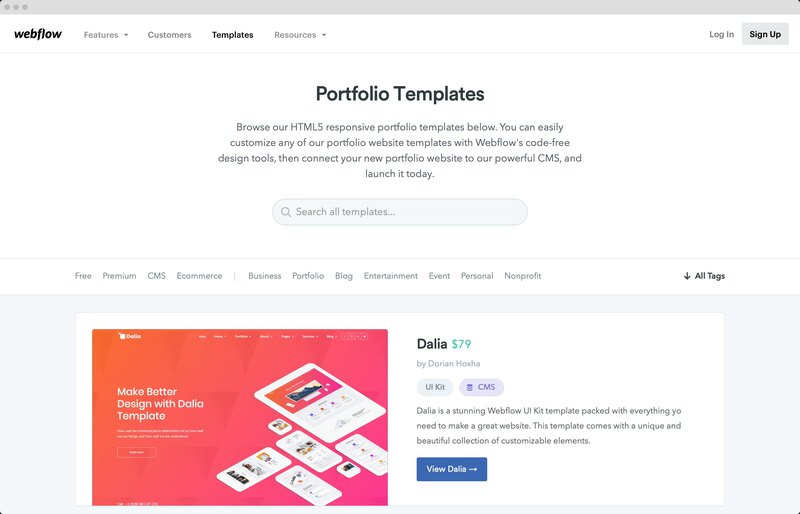 Our existing marketplace was an aging Angular application and we wanted to see if it was possible to build a comparable – if not better – marketplace with the Webflow CMS. 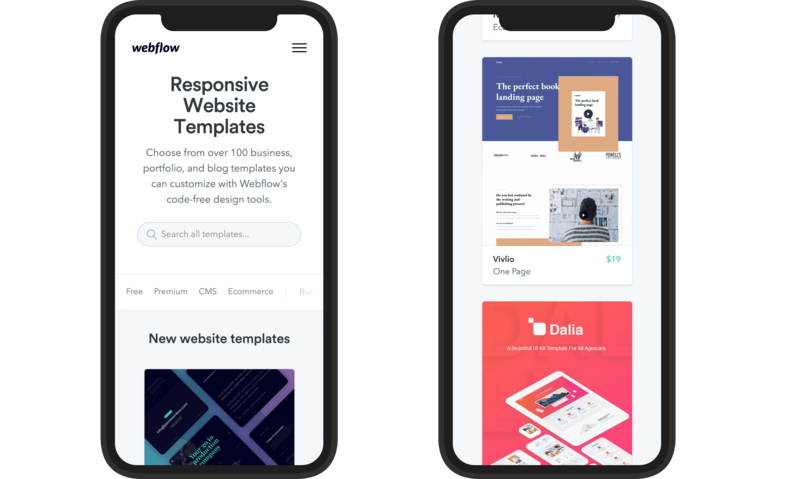 Designing and building the template marketplace pushed the limits of the Webflow CMS and exposed shortcomings we'd either deemed unimportant or overlooked entirely. 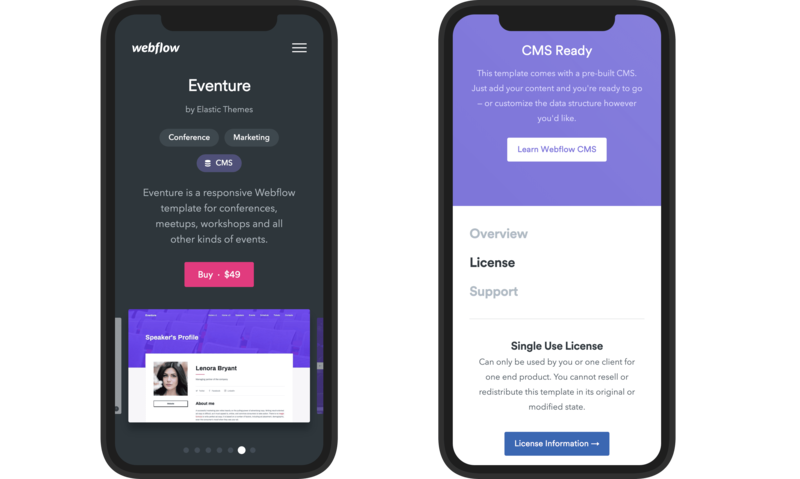 Many of the features added into the early CMS can be traced back to roadblocks I ran into while building the marketplace.